Dentistry in Miami is like no other – there are more cosmetic dentists and orthodontists than there are endodontists and prosthodontists. What does this tell us? Miami dentistry primarily deals with the health and whiteness of teeth, among other things. Since the lifeblood of the state is its hospitality and tourism industry, people are more concerned with how their smiles fit the predominance of the trade in the city. Miami is also host to many affluent celebrities, families, and tycoons, so it’s imperative to have a blockbuster smile whenever dealing with fellow moguls. And, like any other bustling city with its fair share of well-off residents, dental fees in Miami are pretty much the same as top-tier cities, such as neighboring Palm Beach, New York, Malibu, and Beverly Hills – all hotspots of premier dental services. People below 30 account for nearly 40% of the city’s population, making it a suitable place to establish any health-oriented business, as young adults and adolescents tend to visit dentists often. Students who wish to pursue a dental career should be underwhelmed to find only a few options. Only a few universities in Miami are inclined in teaching dentistry, focusing on specialized dentistry courses for already-practicing dentists than providing general dentistry courses for undergraduates. Business, and not education, is more prevalent in the city, so students are likely to drift off to different states to get their college diploma. Dentists coming from different cities/states who wish to set up office in Miami should know that the majority of the city’s residents speak Spanish as their primary language, which likely calls for the aid of an assistant translator and transcriber to accommodate appointments and general inquiries. Conducting business without the firsthand knowledge of the residents’ culture will prove to be problematic, as a lot of Caucasian-run businesses have been swathed by Hispanic –run companies. The South Florida District Dental Association (SFDDA) represents nearly all dentists practicing Miami. Miami itself does not have a city-only dental association and has nested itself under the SFDDA since 1922. Additionally, the association is barely taking steps to congregate its members throughout the year. Unlike in New York and Chicago, where a lot of dental association members actively partake in annual, mid-year and even off-season conventions, Miami seems to be far behind in updating its calendar, with only one annual event in its roster of activities – the Miami Winter Meeting. There is also no official city dentist blog to inform patients and dentists alike of the current trends of dentistry in Miami. Searchers can only rely on blogs hosted by private dentists. 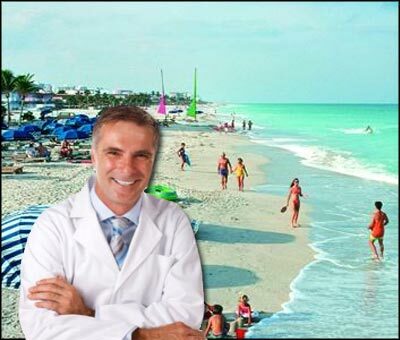 But on the brighter side, the thriving competition of Miami dentists also paves the way for reduced dental fees. The entire city, most notably Westchester and Miami Beach are packed with dental clinics.